The difficult thing about social media is that it is ever-changing. What works today as a best practice, doesn’t tomorrow and the platform that is all the rage this afternoon is suddenly less important to your demographic over the weekend. We’ve seen it with Instagram’s massive growing following and MySpace’s diminishing one. How do you know the best way to use social media for your business or personal branding? And how do you keep up with the latest trends? You follow and listen to people who do this for a living. 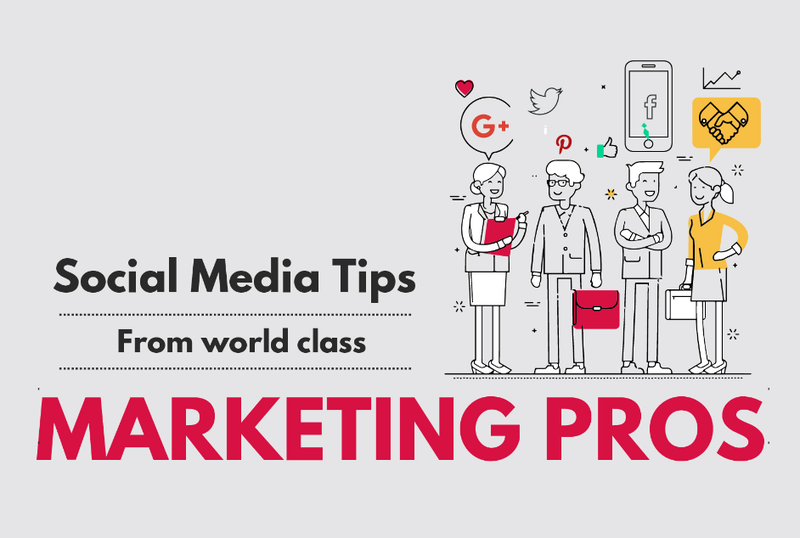 We’ve compiled some of the best social media advice from world-class marketing professionals on top social media questions so you needn’t hunt the Interwebs for it. Ready to get started? “...100,000 followers is not the same as 100,000 readers - a very small subset of followers actually read what I share! "If you were at a cocktail party, you wouldn't come up and shake someone's hand and say, 'You should see what I sell. I'm amazing!' You would ask about the other person. The same holds true [on social networks]. You really need to build a relationship before you go for the sale." As the “old” saying goes, you have to be social to do social. No matter what platforms come and go, one of the most important things to remember is not to use them as a megaphone to get your voice heard but to use them as tools for conversation. Show others that you find them interesting and they are more likely to engage with you.